Many of our customers follow vegetarian, vegan or raw food diets and turn to superfoods in an effort to plug any nutrient gaps resulting from their alternative eating habits. Others, especially those new to superfoods, simply want to know which are the most wholesome superfoods to start stocking their kitchen cupboards with. We felt that a healthy food list would prove beneficial to all our customers. That’s why we’ve compiled a Detox Your World healthy food list detailing our top 5 most nutritious superfoods for easy reference. Whilst this healthy food list is by no means exhaustive, we do hope that you find it useful. Hemp seeds simply had to feature on our healthy food list, as they’re not only incredibly versatile they’re also extremely nutritious. 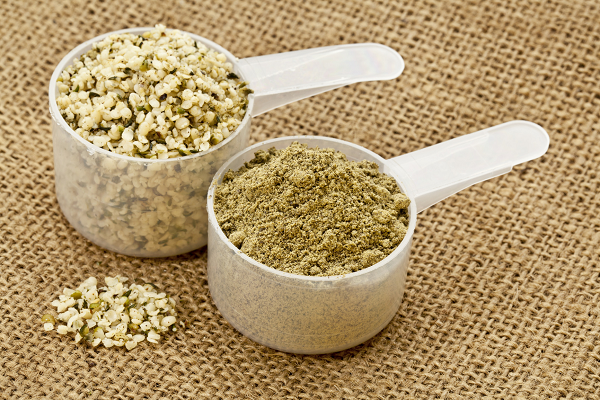 Hemp seeds can be purchased whole, shelled or in a handy protein powder. They are packed with beneficial nutrients including vitamins E, minerals (such as magnesium, potassium, calcium, iron, manganese, zinc, copper, platinum, phosphorus, sulphur, boron, nickel, germanium, tin, iodine, chromium, silver and lithium), protein, omega-3 fatty acids and phytonutrients. Hemp seeds boast a deliciously creamy, ever so slightly nutty flavour and can be stirred into shakes, smoothies and protein drinks, scattered into soups ‘n’ salads or even ground and used as a basis for a tempting range of gluten-free cakes and breads. And don’t forget that hemp seeds can also be soaked in water to prepare an appetising and healthy hemp milk. Quinoa seeds are an ancient, gluten free pseudo grain with an exceptionally high nutritional value and are commonly available from most supermarkets. 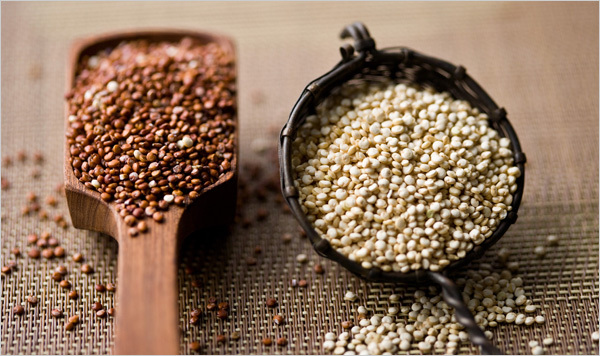 Quinoa seeds are low in salt and rich in vegetable protein, vitamins (A, B1, B2, B3, B6, B11, E), minerals (iron, potassium, calcium, magnesium, manganese, copper, zinc and phosphorus) and also contain every essential amino acid. Quinoa has formed the basis of numerous South American dishes for between 3000 and 4000 years - it has a lovely, full flavour and can be boiled in water just like regular rice, making it a perfect rice substitute for those suffering from a gluten allergy / intolerance, digestive problems or diabetes. As the United Nations named 2013 the ‘year of the quinoa’, we felt that it more than deserved its place on our healthy food list. We wanted our healthy food list to incorporate a wholesome, yet utterly delicious alternative to standard sweets and confectionary. 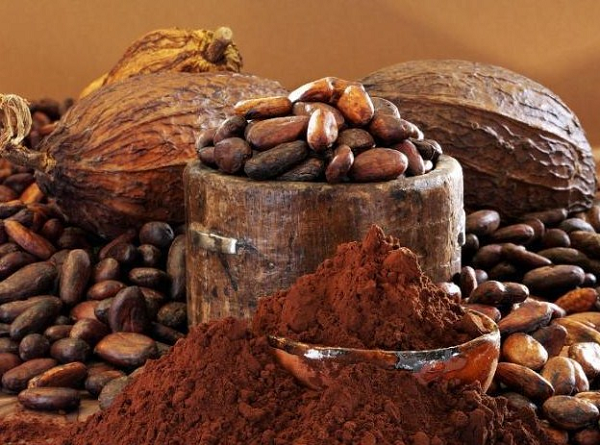 Raw chocolate contains no fattening milks or refined sugars and is prepared from nutritious raw cacao, which is brimming with vitamins, minerals, fibre and essential fatty acids that encourage weight loss, reduce blood pressure, increase energy levels, heighten libido and promote feelings of happiness and contentment. Enough said! It’s hardly surprising that these mouth-wateringly sweet berries from Tibet star in the majority of healthy food lists. 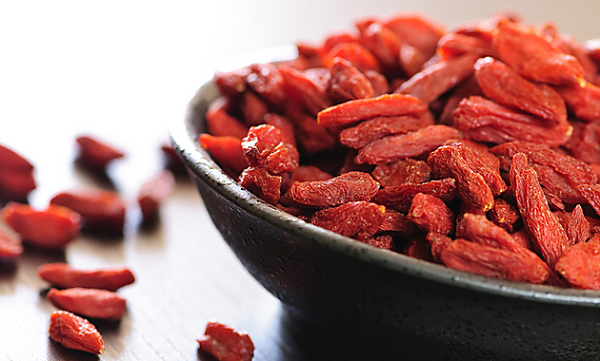 Goji berries are deep red in colour, have an intensely fruity flavour and are literally bursting with vitamins (especially vitamin C), minerals (including zinc, iron, copper, calcium, selenium and phosphorus), in addition to a collection of powerful antioxidants. Eating regular amounts of Goji berries can help strengthen immunity, prevent premature aging and may even increase longevity. Goji berries can be enjoyed as they are or added to as many different recipes as your imagination allows. Coconut oil earns its place on our healthy food thanks mainly to its long list of health benefits and almost endless variety of uses. 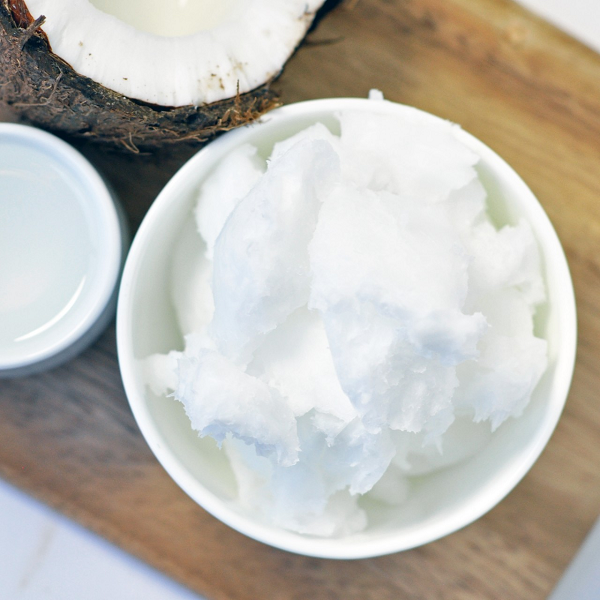 Coconut oil boasts a wonderful, aromatic flavour and is high in vegetable saturated fatty acids, yet thankfully free from trans fats, sugars, carbohydrates and salt. It can be used as an extremely healthy alternative to regular cooking oil, stirred into smoothies, juices, puddings and desserts or, as it’s totally hypoallergenic, applied directly to skin, hair and lips as a gently nourishing lotion. Coconut oil helps to promote healthy skin and hair, prevent heart disease, fight infection, boost immunity and promote weight loss. Ready to start munching your way through our healthy eating list? 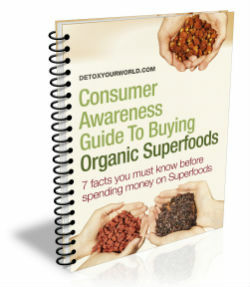 You can purchase most of the above superfoods and much, much more at Detox Your World, the first in certified organic raw- and superfoods in the UK. Why not sample our exciting range and come up with your very own, personalised healthy food list?